Having a clinic that provides after hours pediatrics near your home in The Woodlands, Texas, can be a great help to your busy family. It’s never easy or convenient when your child becomes ill or injured. However, it can be an especially daunting during times when your primary care physician is not available. After all, if your child is dealing with a non-life-threatening condition, visiting the emergency room will often mean long wait times and inflated costs. An experienced provider at Davam Urgent Care is available to treat these conditions seven days a week between the hours of 8 a.m. and 9 p.m., so your child can get quality care whenever the need arises. We even offer in-house diagnostic services, such as blood tests and X-rays to help you avoid having to make an appointment with an offsite imaging facility or lab. 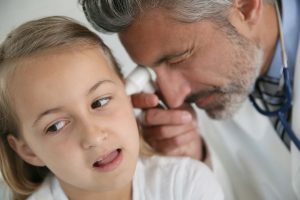 When you require after hours pediatrics, you can visit Davam Urgent Care in The Woodlands, TX, without an appointment. Typically, patients are seen shortly after arrival, however, you can sign in now using our online check-in system to further reduce your wait time.